The EH-5a is an optional AC Adapter for select Nikon DSLR cameras that can be used to power the camera from a wall outlet. The EH-5A is an AC Adapter that can power select Nikon cameras from an AC power source, useful when shooting long sessions. Can be used world-wide with optional plug adapters. 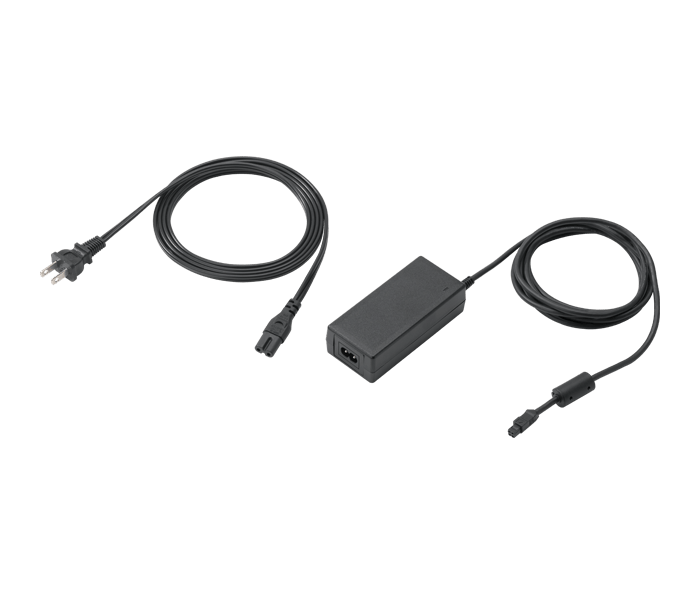 Specific cameras require the use of the EP05, EP-5a or EP-5B Power Supply Connectors for use. Supply Connectors sold separately. *Aside from differences in size and weight, the EH-5 and EH-5a are different in the regard that the EH-5 is not in compliance with the State of California's new Appliance Efficiency Regulations. The EH-5a meets these standards.